Come on out & network your company with Austin NARI members. Lunch is included in your fee. 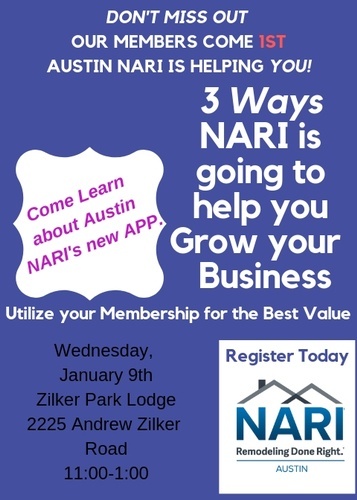 Learn all about our Austin NARI app. & let us help you GROW your business!